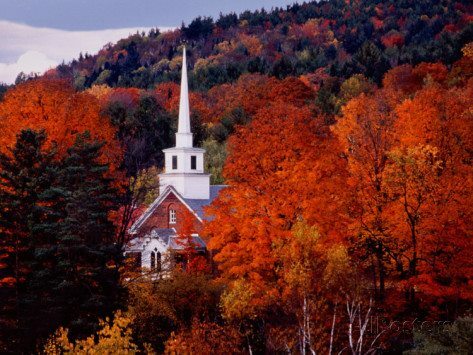 Recently I found an incredible resource for “Vermont” photos and since foliage is arriving (quickly), I had to share them. 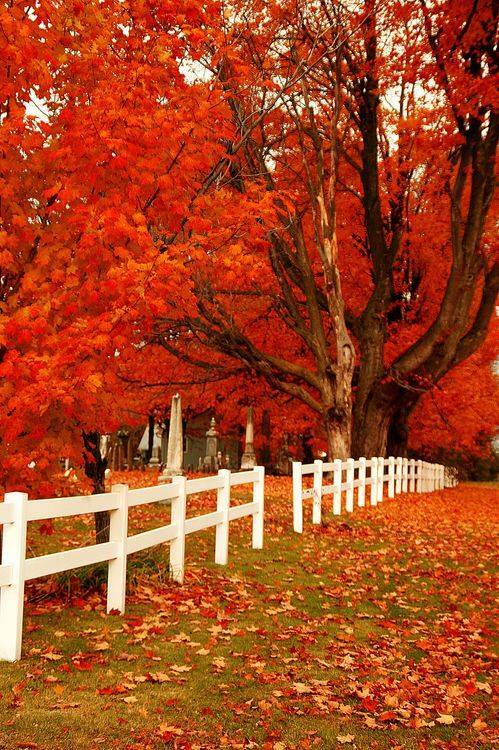 Let’s celebrate our beautiful Autumn Season! 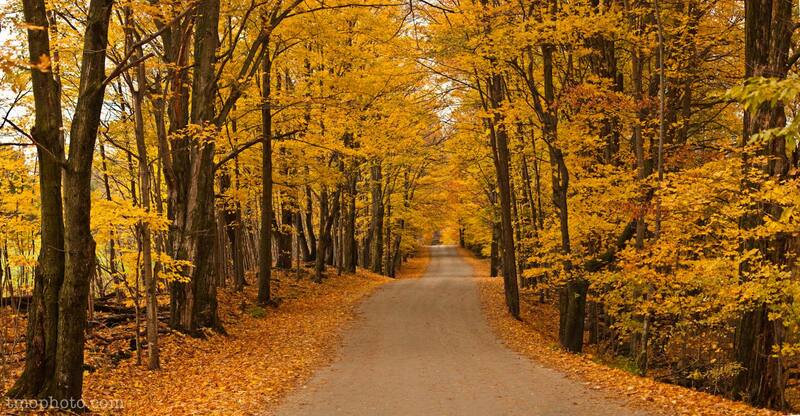 All of these photos and many more can be found on the Very Vermont Community Page. 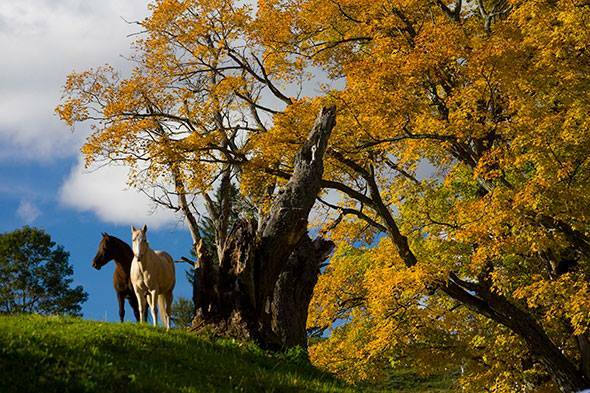 Something about the elevation, the horses and the blue sky make the stunning yellow leaves even prettier. Maybe that’s just me? Bring on the reds and orange. They are so striking. I bet our Doug will recognize the photo above. We all know those leaves are going to completely cover the ground soon enough. Enjoy the season while you can. Back to the golden tones and a dirt road. This is a familiar site in pretty much all Vermont towns! 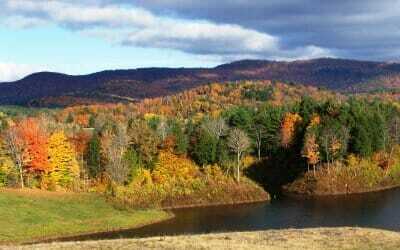 Below is a view from the North Springfield, VT dam. 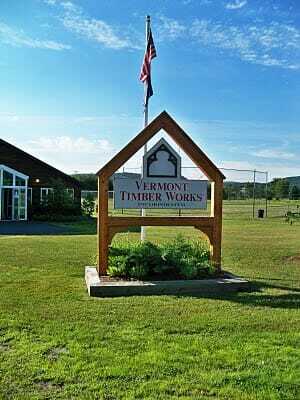 If you are looking for a timber framing company, please stop in and visit us in Vermont. We’d love to talk about your project. 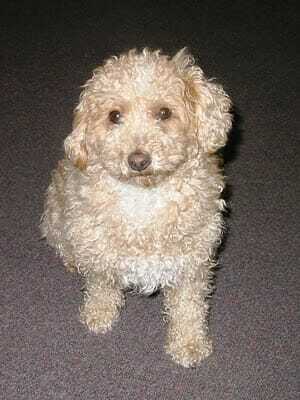 As long as you can get by our security officer Kramer! Welcome to Vermont Timber Works! Happy Foliage! Happy Timber Framing! We all know it was the horses, not the foliage that won Sandy over for the featured image on this post! There is a slight possibility that you may be correct!